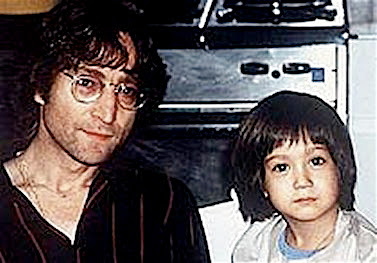 It's been 27 years since we lost John Lennon, probably my strongest role model during my teenage years and someone who's influence strongly shaped my opinions about music, art, comedy, philosophy, fatherhood and life in general. 27 years ago 40 seemed like a full life to me. Now that I'm 40, and the father of a five year old son of my own, I have a very different opinion. 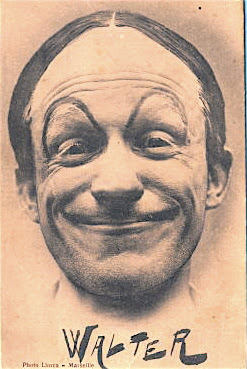 Sam Barton from the film CAVALCADE OF VARIETY (1941), which is itself a compilation of three earlier films, VARIETY (1935), VARIETY PARADE (1936) and MUSIC HALL PARADE (1939). Sam Barton (1894-1941) toured the British music halls with a speciality bicycle act similar to Joe Jackson's (1873–1942). Is there anyone out there who knows which act came first? 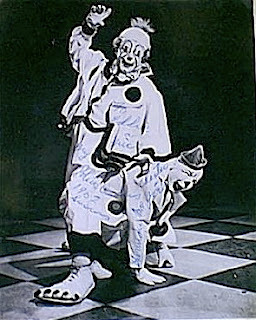 One of the very best American circus clowns (and clowning instructors) working today, Jason T. Stewart and his son Nick in Myrtle Beach, SC at the 2005 Clown College reunion. 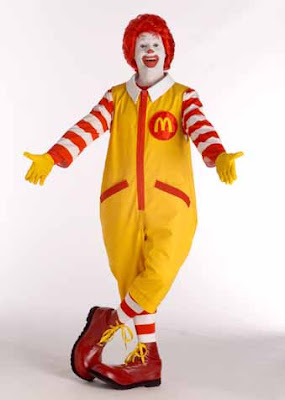 Jay and family have recently relocated to the northeast where he's become a member of the Big Apple Circus Clown Care Unit. Antonet's partner prior to teaming with Grock and an extremely prolific and influential auguste in his own right, Little Walter. 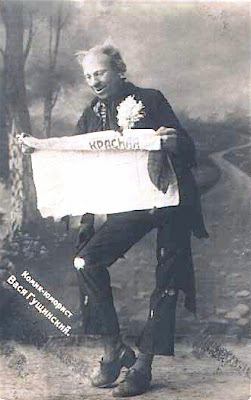 Russian circus clown Vasia Guschinsky. Rex "Boxcar" Young at a Shrine date in Utica, NY in the 1960s. It's supposedly from the Beatty-Cole show but I don't know that McCloskey and Co. were doing shrine dates in the 1960s, or that Rex ever worked for them. 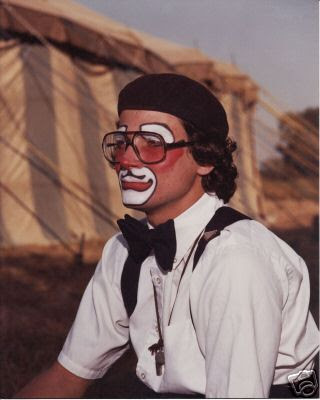 Can anyone confirm whether or not this is a photo of Clown College grad and CLOWNS FOR BEGINNERS author Joe Lee on Hoxie in 1982? Even if it isn't, click the title of this post for a link to Joe's book. 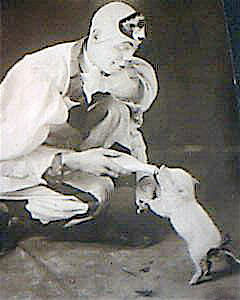 A cabinet photo of Hal Newport and his pet pig Rosie on the "John Robinson Traveling Circus" 1907. 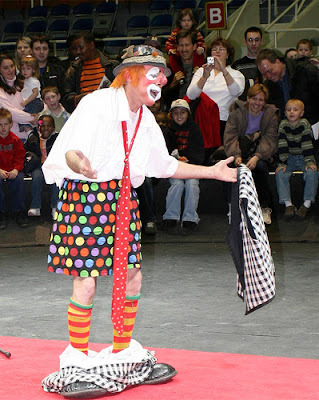 A Master Clown if ever there was one, Mr. Jonathan "Mitch" Freddes. Mitch, if you're coming to China in 2008, I call dibs! You're on my team. For all those that wrote in with Ronald History related questions, there is an article out there for you in today's Baltimore Sun. I'd like to be able to link to it for you but my macbook's hard drive has crashed (yet again) so, at least for today, I'm posting from a computer three years older than dirt. 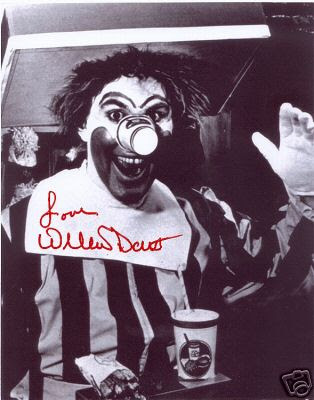 Willard began as Bozo the Clown before becoming the very first Ronald. For more information, please click the title of this post. Great footage of the Sherman Bros. posted today over at Bill Strong's blog YESTERDAY'S TOWNS. Click the title of this post to be taken there. 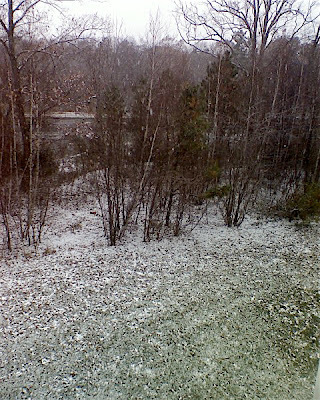 The first snowfall of the season here at the Jersey Shore. It's just a dusting so far but it's coming down nice and steady in big, fluffy flakes. Shane's birthday is this week. 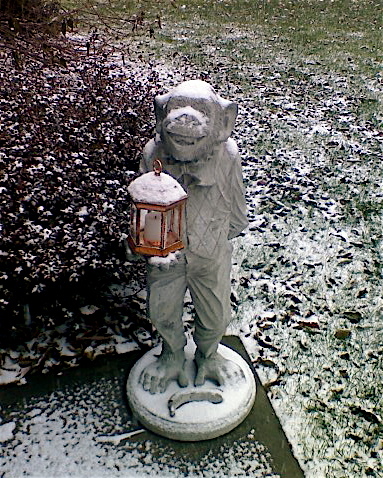 He was born during a blizzard and I believe that it has snowed the first week of December every year since. You all remember that old Christmas classic, "With Snow On Our Concrete Monkey, Can Christmas Be Far Behind?" Irv "Ricky the Clown" Romig from his days on Detroit's WXYZ Channel 7. 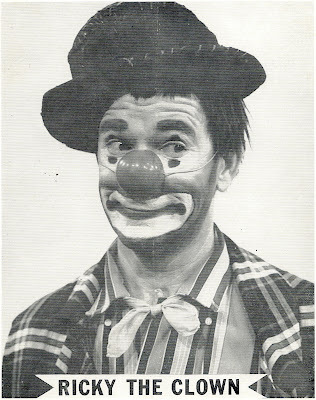 Click the title of this post for more on Irv's kidshow TV days. 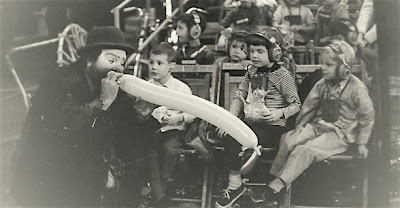 >"Robarts Arena was the scene of the annual Showfolks Circus on Saturday. A blogspot standing ovation to all the volunteers >who contributed their time and talent. Bravo showfolks! 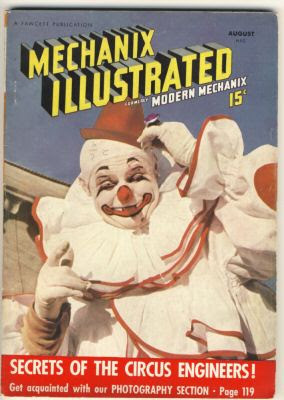 >It was about half way through the show when I realized the show had adopted the trend of having a "theme"...it was "At The >Circus for Forty Days and Forty Nights". >I saw a performer take a "bit" turn it into an "act" and last night presented it as a "marathon"; the longest act I've ever seen. >His family crossed the Atlantic in less time than his routine." >Sunday, 2PM - I just stopped by Robarts and the very long act that I mentioned last night, you know the one in the air, well >the act is still working and they expect him to finish by 2:45 pm.